The Stellas 1968 lineup, LR: Frank Boland, Brendan Bonass, Liam Sullivan, Gordon Goodwin, Deke O'Brien, Bob Bolton. Tony G Ford and The Stellas were a showband band who did a lot of beat, pop, soul and blues material. They did a lot of live work in Germany which led to a one-single deal with CBS Records. 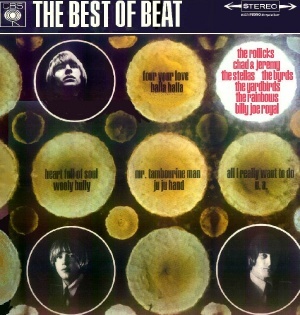 This single was credited to The Stellas and is sometimes considered 'freakbeat' thanks to the fine guitar work. The single was recorded at CBS studios in Frankfurt. 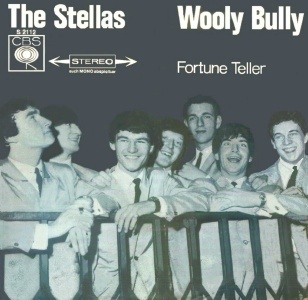 The band were given a white label demo recording of "Wooly Bully" to learn for the A-side. This demo was probably by Sam The Sham himself, though it hadn't yet been released. The band were told their version would be released in Germany simultaneous with the release of Sam The Sham's version in the USA. The Stellas version made the top 10 in Germany. The B-side "Fortune Teller" was chosen by the band themselves. Both sides also appear on a rare 1966 German CBS sampler LP. The photo on the front cover shows the band outside the K52 Club in Frankfurt in 1965 where they were playing at the time. Despite the bands augmented instrument lineup, there is fortunately no brass on the single. The Stellas did lots of live work in Ireland too, of course, and performed on both radio and TV. They appeared live on Larry Gogan's radio show in 1964 and also appeared on the The Showband Show on RTE TV, footage which is presumably lost. Apparently they held the record for the longest continuous live performance on this show. There's a very good website devoted to the band which mentions other LP recordings including "Live at the Kaskade Club, Cologne" and a second live "Allstars" set "done for Hamburg Radio" at the Top-Ten Club in Hamburg. Whether these were actual LP releases or various artist compilations or simply exist as live tapes is unclear. By 1968 the lineup had changed completely, with no original members left. Brendan Bonass and Bob Bolton both left The Uptown Band in the summer of 1968 to form the last incarnation of The Stellas with Deke O'Brien (ex Bluesville/ Chosen Few), Frank Boland (Kingbees connection), Liam Sullivan and Gordon Goodwin. 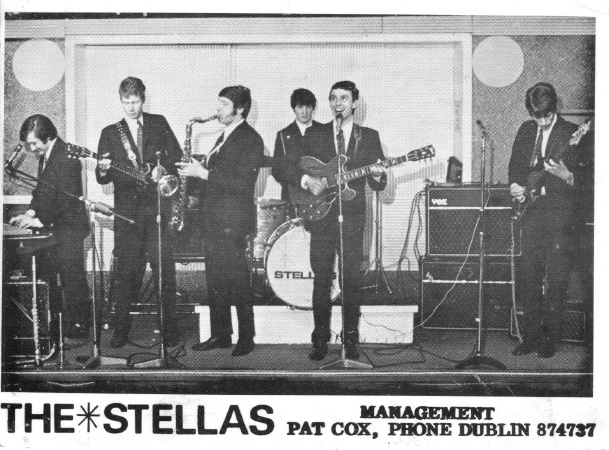 The Stellas were the house band in the Stella Ballroom in Mount Merrion, which later became the Sportsman's Inn. They played covers of the current chart hits. This lineup disbanded in 1969 with Deke and Bob Bolton moving on to reformed The Chosen Few with Brendan Bonass later joining them. Mike Niblett was also a member of The People.